Darcy Pennington hates her life. She is an insufferably average teenager with no real friends, crushing social anxiety, and an indescribable sense of not fitting in anywhere. A change in her dad's job forces her to attend Cedar Cove Family Camp the summer before her eighth-grade year, and Darcy once again finds herself on the outside of a social circle of teenagers, with her only advocate being an awkward girl named Samantha Palm. The only problem is, Darcy has no desire to be friends with her, but as the hostility from the other teenagers increases, she decides to return the friendship. When Darcy begins to experience strange magical occurrences, she comes to believe she's either losing her mind or on the brink of a discovery that could give her purpose in life. 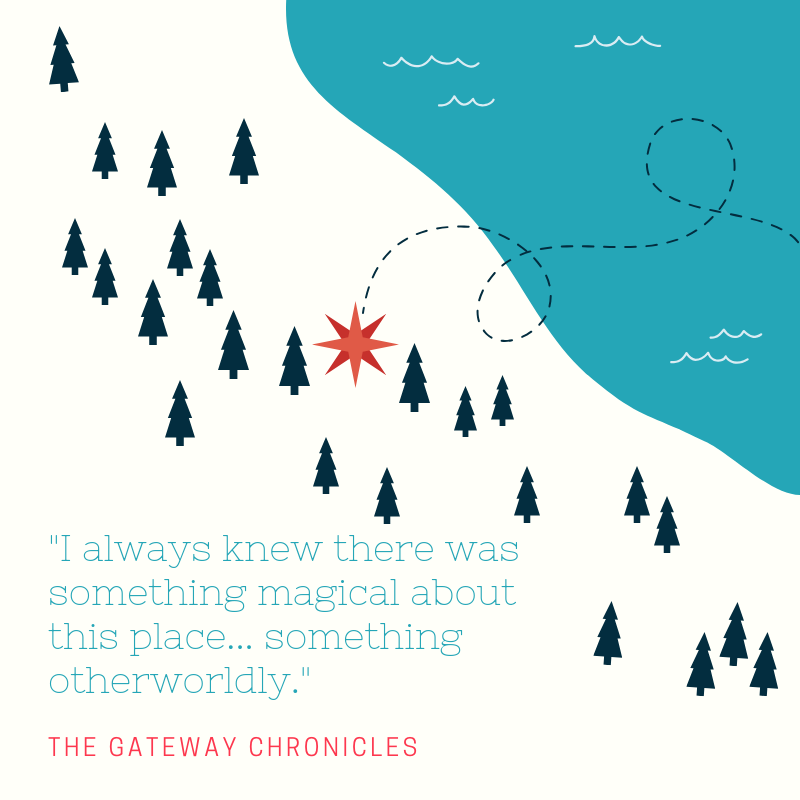 After unwittingly stumbling through a magical gateway to a new world called Alitheia, she convinces Sam and the other four teenagers to travel there with her, and despite their earlier hostilities toward her, they eventually concede leadership of their small group to Darcy. Once there, they learn the "arrival of the Six" was prophesied hundreds of years before and that they must expel an ancient evil from the land. In the end their lives, and the fate of Alitheia, will hinge upon Darcy. Will she have what it takes to fulfill her mysterious purpose? Or will she fall prey to a deadly foe? K.B. 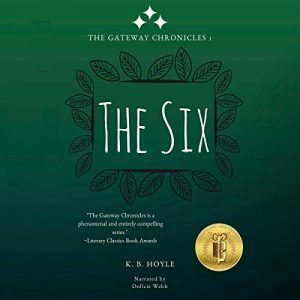 Hoyle is an award-winning Young Adult author, a public speaker, a creative writing instructor, and a former classical history teacher. She stays busy at her home in Alabama with her husband and their four young sons. She is a Readers' Favorite 5-Star reviewed author, a multiple recipient of the Literary Classics Seal of Approval, the winner of the Literary Classics Gold Book Award for Best YA Series (2016) for The Gateway Chronicles, her best-selling six-book Fantasy series, the Literary Classics Silver Book Award winner for YA Science Fiction (2015) for BREEDER, the first book in her Dystopian Trilogy, The Breeder Cycle, and the Readers' Favorite Bronze Award winner in YA Science Fiction (2016), also for BREEDER. She was a featured panel speaker at the 2013 Sydney Writer's Festival in Sydney, Australia, and her books receive high acclaim from readers and reviewers worldwide. "Daydreams and whimsy with with a touch of pixie charm." A long-time daydreamer, Dollcie Webb has always carried a special fondness for Young Adult Fantasy literature. The poetic imagery and enticing otherworldliness call to her sense of curiosity, satisfying a deep desire to explore the world around her. 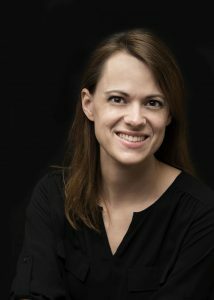 A graduate of Michigan Technological University with a Bachelor's in Theatre and Electronic Media Performance, she's taken her experience in audio and theatrical performance and has melded the two into a career as an audiobook producer and narrator. Not initially, I luckily managed to land my very first audition within a day of submitting and the thrill of that has had me hooked ever since. Full disclosure however: I did have a difficult time because I didn’t realize how much effort would need to go into the actual work behind narrating and producing. A result of that was some of my earlier work suffered. I had a difficult time remaining consistent in my performances because I was so focused on the technical aspects of performing in the booth and getting a clean audio recording.After researching online and listening to more YA Audiobooks I was able to identify what I liked about certain performances and what I thought could be improved. For me it was about relaxing in the booth and allowing myself the freedom to immerse myself in the story. To get out of my own head, stop over analyzing, and just be present in the moment of the story. Once this happened it brought a level of joy and satisfaction to my work that I don’t think many people are lucky enough to experience. Yes I do. My theatre background gave me the skills I need to be a successful audiobook performer. I don’t think a BA in performing arts is 100% necessary to being a successful narrator but for me I wouldn’t be here without it. I have a Bachelor of Arts in Theatre and Electronic Media Performance from Michigan Technological University. I also attended the VO Atlanta conference my senior year of college and learned a. LOT. It was there that I realized how far-reaching the voiceover world is and how I could actually make a living using the skills I acquired from college. It took me a year after I started narrating to realized burn-out is a very real phenomena. I help prevent burnout by making sure to take care of myself and making sure to replenish my creative well. Reading stories for the fun of it, singing in the shower, listening to podcasts for authors and narrators, watching TED talk videos, watching cartoons, and listening to audiobooks. The synopsis was intriguing and sounded like something I would normally read for the fun of it. Upon further research I discovered it to have received the Literary Classics Gold Book Award. I knew then that it would be foolish to pass up the opportunity to be a part of something so special! Usually as closely as possible. I know how much time and effort I put into working on the audiobook and that can’t even compare to the amount of time that the author invests to write the book! 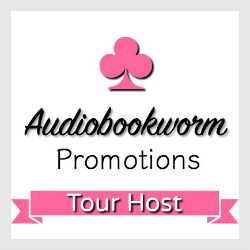 I have so much respect and admiration for the authors that I work with, I want them to know that we’re on the same team and we both want the audiobook to do well. My least favorite part is reading the reviews afterwards. While the work is time-consuming and can be quite tedious, reading the reviews requires a different form of mental fortitude. I have to be in a good place mentally and remember to not take negative reviews personally. (I adore the positive reviews but I’m always worried my hubris will get the best of me.) When people don’t like something about my performance I really strive to use that as constructive criticism to improve for the next time. That’s a guiding point I always try to remember: to always be learning and improving.My favorite part is tied between 1) getting that fresh manuscript from the audiobook rights holder and delving into the story while there is still so much to discover about the plot and characters and 2) Submitting the final audiobook to the rights holder. There is always an excited rise in my heart rate when I go to press “submit”. The best reviews are the ones that can pinpoint exactly what they thought needed work in the audiobook. My biggest goal as an audiobook narrator is to disappear while the audience is listening. It’s my job to tell the story in a thoughtful and engaging way. If there is ever anything about my performance specifically that detracts from achieving that goal, tell me! I want to know so I can utilize it the next time I get handed a manuscript. Tamora Pierce hands effing down! Her Daughter of the Lioness books got me through high school and it was her books where I really latched onto the philosophy that girls are strong and can become leaders and world builders. 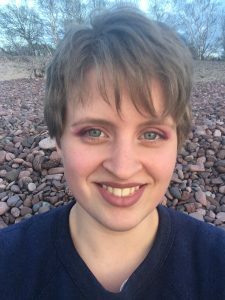 Tamora writes beautiful, immersive stories with these amazing and inspiring female lead characters and to have the chance to be involved in, or contribute to, her work would be a dream come true. I have to say that is an uncharitable way to view the medium! Firstly, it’s not like audiobook are hurting anyone, so why put the effort into maintaining such a strong negative thought about it? Secondly, think of how audiobooks are opening a world of information to consumers who otherwise might not have access. People commuting to work, the visually impaired, small children learning to read, the disabled who may not have the motor reflexes required to hold a tablet or flip a page, ALL of these people now have the option to enjoy stories that would be difficult to read without the assistance of audiobooks. Physical reading is a luxury not everyone has the time or means to enjoy. Audiobooks are tools that help level the field between literate healthy readers and those readers who could use a little assistance. Appearance: Darcy is 5’4” and rather thin and gangly with long, wavy reddish-brown hair. She’s fair skinned (although she would call herself pale) with freckles, grey eyes, and angular features. She wouldn’t think so, but she is pretty. About: Darcy is incredibly self-conscious and introverted, and she suffers from almost crippling social anxiety. She struggles to make friends and feels most comfortable around animals. In The Six, she’s one of those young people who feels as though she’s just average at everything — not particularly skilled or talented or remarkable at any one thing. Just… invisible. Darcy would rather be alone than end up making friends with people who will stigmatize her at school, too, as she has a bit of a prideful streak. Despite her flaws, Darcy feels things deeply and — when she can get outside her own head — she can be an incredibly strong, resilient, and brave person. She longs to love and be loved, she just needs to learn how to open herself up to others. In Alitheia: Once they pass through the Gateway into Alitheia, Darcy’s role in The Prophecy of The Six is that of The Intended — meaning she’s supposed to someday marry Tellius, the rightful king of Alitheia. Seeing as how she’s only 13, and Tellius is only 10 (in The Six, which is the first book), this role seems like a pretty bum deal to her. Favorites: Darcy’s favorite food is her mother’s French toast. She loves horseback riding, learning archery, reading, and spending time with animals. Appearance: Sam is 5’2” and overweight with long, almost-curly cornsilk-blonde hair. She’s fair skinned (but not as fair as Darcy) and has brilliant blue eyes and very pretty features. About: Sam is radiant — everything about her exudes joy, even though she is often stigmatized at school because of her weight. She lives down the street from Darcy and has been trying to make friends with Darcy for years, but Darcy has always rebuffed her efforts. Extroverted to a fault, Sam sometimes has a hard time seeing that she’s smothering people, but she just wants to make sure everyone feels loved and seen and accepted all the time. Sam can also tend to struggle with a little anxiety and fearfulness as she tries to make everyone happy (which is obviously impossible to do), but she loves her friends more than she loves herself, and that leads to a special type of heroism. In Alitheia: Once they pass through the Gateway into Alitheia, Sam’s role in The Prophecy of The Six is that of The Companion. Sam has magical abilities that manifest to help her help her friends in times of great need. Appearance: Lewis is short with mousy brown hair, pale blue eyes, and glasses. He has kind of a typical “nerd” physique — slouches a bit and unassuming and tries not to draw attention to himself because he doesn’t think much about his physical appearance. About: Lewis is Sam’s best friend (she’s his only friend back home — outside of Cedar Cove Family Camp) and fiercely protective of her. Lewis follows Sam everywhere and kind of watches over her — thoughtful where she is impulsive, but also far less willing to trust people or open himself up to others. With Sam, he’s teased a lot at school and is an outsider. Lewis immerses himself into his writings and inner thoughts. He loves to tell stories, but never really shares them with anyone other than Sam. He’s never without a backpack, in which he keeps notebooks upon notebooks of stories and story ideas. Lewis does not understand Sam’s desire to be friends with Darcy and generally distrusts and dislikes Darcy, at least at first. In Alitheia: Once they pass through the Gateway into Alitheia, Lewis’s role in The Prophecy of the Six is that of The Scribe. Lewis has magical abilities that will manifest that have to do with writing. Appearance: Perry is quintessential “popular kid” — golden blonde, blue eyed, tan, and athletic with a killer smile. He’s tall, but not too tall (around 5’6” in The Six). He wears his hair so it falls *just so* across his forehead. About: Perry is the baby of his family — the much younger brother of an older sister, so he’s a little spoiled. He’s outgoing and confident and generally easy going, especially with his friends. Physical things tend to come easily to him, whether it’s learning a new sport or hiking or learning to sword-fight, and he feeds off the energy and admiration he gets from others. He’s a natural-born leader. He’s aware that he’s good-looking and generally what others would think of as “above average” (which can be a heady combination for any 13-year-old), so sometimes Perry can be a little thoughtless toward others’ needs, and even mean, but deep down, Perry is bold and brave, and he has a heart of gold. In Alitheia: Once they pass through the Gateway into Alitheia, Perry’s role in The Prophecy of the Six is that of The Warrior. He will have magic manifest that lends itself to fulfilling this role. Appearance: Amelia is tall, 5’8” or 5’9” in The Six, and thin and willowy with kind of dusty, fawn-colored hair and hazel eyes. She’s beautiful — the sort of girl who makes other girls feel intensely insecure (especially in middle school). About: Amelia is an only child and the oldest of the six young teens who end up going through the Gateway into Alitheia (she turns 14 shortly after they arrive), so she acts as a slightly disapproving mother hen. She’s a little haughty by nature and something of a musical prodigy, as she plays 6 instruments and sings. Already, at 13, she has clear goals and aspirations for her future in music. She’s distrustful of new people (like Darcy) and places (like Alitheia) and a homebody, so when they end up trapped in the alternative magical world, she struggles with severe homesickness for a long time. After Lewis, she is Sam’s best friend and like Lewis, she is fiercely protective of her. In Alitheia: Once they pass through the Gateway into Alitheia, Amelia’s role in The Prophecy of the Six is that of The Musician. She will have magic manifest that lends itself to fulfilling this role. Appearance: Dean is also tall, around the same height as Amelia. He has an olive complexion and black hair that he keeps in an army-style buzz cut, and brown eyes. He’s athletically built, but more lanky than Perry. About: Dean is the quietest of the group, next to Lewis, but Dean is more secretive. He’s a little bit like Perry’s shadow. Where Lewis is closest friends with Sam, Dean is Perry’s best friend and can usually be found wherever Perry is. The youngest of four boys, Dean is someone who is clearly tough, but he’s understated. Before he befriended the other teens — years before Darcy first got to Cedar Cove — he used to just follow them around in the woods. He’s one to keep his opinions to himself unless asked directly, and his ambitions in life are to go into the military, as he admires all things stealth and soldiery. 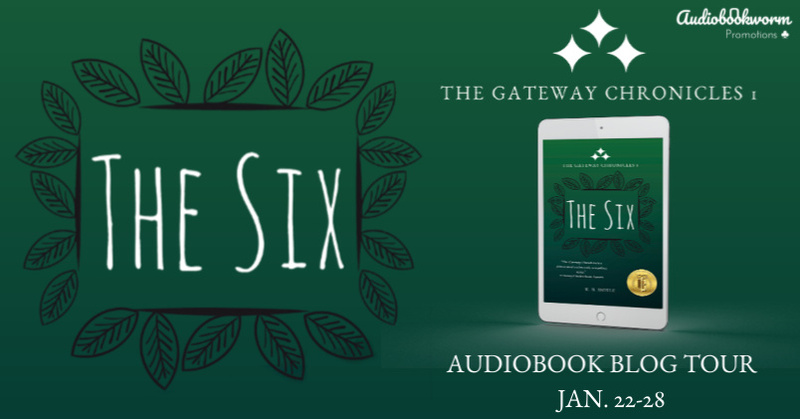 In Alitheia: Once they pass through the Gateway into Alitheia, Dean’s role in The Prophecy of the Six is that of The Spy. He will have magic manifest that lends itself to fulfilling this role. Appearance: Tellius has wavy brown hair, lightly tanned skin, and a smattering of freckles across the bridge of his nose. His eyes are brown, but flecked with green.